Earlier this week, my family and I gathered around the old television set to take part in a particularly revered Christmas tradition that involved the annual watching of “Rudolph the Red Nosed Reindeer”. The room was dark, with only the twinkling of brightly colored Christmas lights on the tree and the steady glow of the television to cast a holiday cheer on the festivities, warming the heart with the special warmth that only Christmas can bring. Except…it didn’t really happen that way. My wife was working at the kitchen table with her back to the television, oblivious to the ongoing ruckus from our cat and dog who for some reason seem to get all riled up in the evening. Meanwhile, my son, admittedly trying to be respectful of his father’s infatuation with half century old filmography, surreptitiously would sneak glances at his iPhone game, obviously more interested in that than the perils faced by the plucky buck with the incandescent nose. For kids his age, it’s a cultural artifact from a time so far removed that it might as well be the stone age. At least the glow from the Christmas tree really happened and despite the obvious apathy to my cause, I was determined to observe the annual tradition and remember it the way I did as a child. 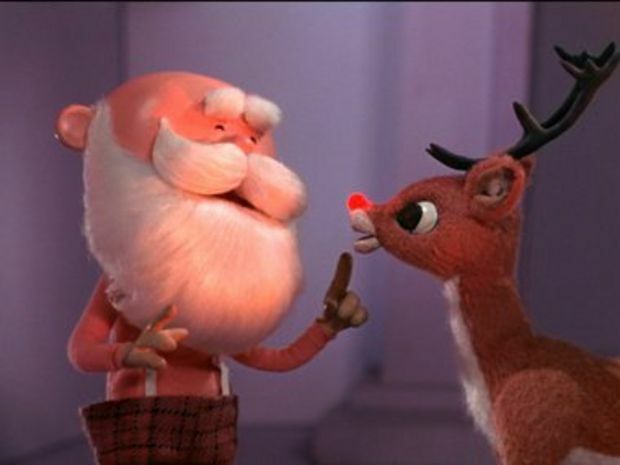 For people of my generation and age, Rudolph was a big deal, a family TV tradition shared with my brother and parents in an atmosphere much like what I described above. It signaled that Christmas really, truly was on its way. This year marks the 50th anniversary of the show, a half century of annual traditions played out in living rooms across America. I oftentimes find myself at odds with my family and others over matters of tradition. Time honored rituals that to me, provide a structure in life and at no other time of the year is that more important to me than at Christmas. Rudolph was a part of that, along with Frosty, Santa Claus and a host of others that preempted the normal programming on our paltry, three network channels. We knew when it was coming because TV Guide told us it was and we anticipated it, looked forward to it, and reveled in it. Of course, if I knock off the hazy nostalgia of memories associated with it and look at it for what it really is, through the eyes of a 48-year-old, it isn’t quite the same. Rudolph certainly had its flaws and in today’s world of political correctness, that reindeer would have never flown. It’s charming and tuneful and rightly revered but consider a few points through the 21st century lens, if you will. Rudolph was born with an obvious birth defect. It was as plain as the nose on his face and in fact was the nose on his face. I mean, looking at the show, he had an electric Christmas light bulb on the end of his nose. If I had been Donner, his father, I would have wanted to know which Christmas tree Mrs. Donner had been visiting on the side because there was obviously something going on in Christmas Town. 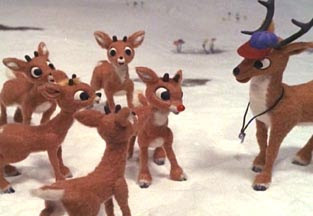 Later on, at the reindeer games, Rudolph’s “disability” is uncovered, literally, and he is made to suffer at the hands of both his cohort of junior reindeer as well as Coach Comet, the personification of every PE coach I can remember. He clearly regards Rudolph as a freak of nature and banishes him from the reindeer games. Today, Comet would have been sent to diversity training and taught to recognize the special talents of Rudolph…or possibly he would have been reported to DFACS, where he would have appeared on the evening news followed by statements of outrage from the other reindeer parents. Then there’s the “Abominable Snowman”. He showed so much potential for being scary until you realized he wasn’t really much bigger than Yukon Cornelius, the prospector who comes to Rudolph’s rescue. Yukon has a pickaxe and a pack of dogs, plus a whip, yet with all this arsenal at this disposal, he is at first afraid of “Bumble”. Misunderstood and hungry, Bumble spends half of the show chasing Rudolph and his friends all over the North Pole. Like a moth drawn to the flame, he was attracted to Rudolph’s nose and in the end, it was his downfall. He was struck on the head multiple times by falling ice, had all of his teeth extracted by an elf who claimed to be a dentist with no formal training, no license to practice and who just happened to be carrying around an extra-large set of extractors for however many months they had been on the run. Finally he is run off a cliff and when that doesn’t kill him, he is collared and put to work in Santa’s workshop. PETA would have filed any number of lawsuits. Speaking of Santa, he doesn’t quite live up to our expectations of this jolly old elf at all does he? He is cranky, irritable, obviously intolerant of his elves and their constant singing while they work. He may have been suffering from some kind of ailment given his somewhat anorexic appearance and he has no appetite. Somehow, miraculously, he manages to put on 50 pounds within about two minutes following his dinner. Severe bloating and gas perhaps? At least Burl Ives is believable as the voice behind the dapper, witty narrator and snowman of the North Pole. He was one of my favorites in the show until years later when I saw him portraying the tyrannical Rufus Hannassey in “The Big Country”, after which he didn’t seem so kindly and nice. Still, his was the big name in Rudolph and despite many excellent movie performances, Rudolph is probably what he is remembered for best. What I remember best though is memories of a lying on the floor in front of a huge console television with a not so big screen watching a stuffed reindeer with a lightbulb for a nose walk, talk, sing and fly through the air. 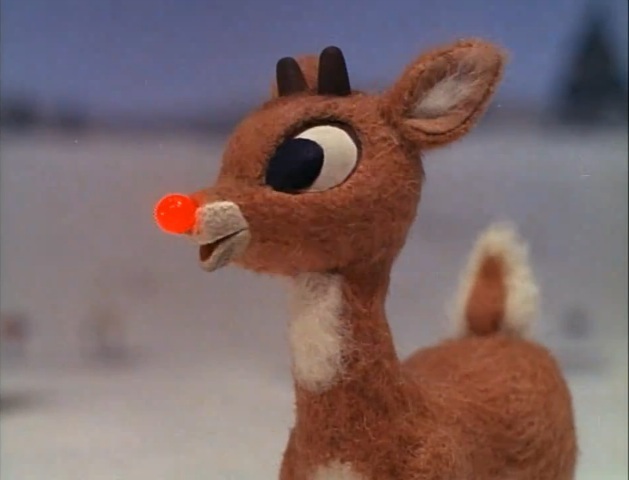 With a backdrop of interesting and memorable characters, catchy tunes that still get stuck in your heard and a perfectly happy ending, Rudolph and his red nose have become a part of Christmas tradition that has endured in an age of computer generated magic played out on plasma monitors in high-definition. It’s simple, classic, timeless and relevant, even in a world that has tried so hard to leave it behind, much like Christmas itself. Whether they like it or not, I’m watching it next year.